Jewelry has signified the bonds between people since the ancient Egyptians created the wedding band. But the digital revolution is quickly converting jewelry from a symbol of connection to wireless ways to stay connected. Rings, watches, pendants – even cufflinks – have been transformed into miniature electronic devices that keep us in touch with people, including ourselves. This merger of fashion and function is catching on fast with consumers. According to Gartner Inc., an information technology and research advisory firm, purchases of wearable smart devices will increase 16 percent in 2016, with smartwatch sales alone predicted to rise a whopping 66 percent. The wearable device trend took off a decade ago, primarily for fitness. The Nike+iPod fitness tracker was the forerunner for a flood of new products embedded with tiny sensors that report the wearer’s workout progress. Today, nearly all the major tech companies compete in the smartwatch market, including Apple, Google, Microsoft, Motorola and Samsung. Meanwhile, some traditional watchmakers – such as Tag Heuer – have developed their own high-tech timepieces. Top designers are also collaborating with high-tech developers to create smart rings, bracelets, necklaces and other fine and fashion jewelry. FitBit, for instance, offers a line of fitness trackers conceived by Tory Burch, a well-known women’s wear designer. The technology is embedded in embossed metallic pendants and bracelets. Since smart jewelry could be a major jewelry investment – second only, perhaps, to an engagement ring – it’s important to adequately protect it with insurance. Most homeowners insurance policies cover jewelry to some extent. In many cases, however, your coverage may be limited. Plus, a jewelry claim could affect the status of your entire policy. That’s why it’s important to evaluate your insurance options. Typical warranties and protection plans won’t reimburse you if your smart jewelry disappears under mysterious circumstances – meaning you’re not sure whether it was lost or stolen. The best jewelry insurers, such as Jewelers Mutual Insurance Company, a leader in jewelry insurance since 1913, will cover loss in such circumstances. They will also repair or replace the item through the jeweler or manufacturer of your choice and a loss. If you’re someone who appreciates socially responsible companies, there’s another reason to look up Jewelers Mutual. This summer, the company is making news by offering $2 million in donations to nonprofits that fight hunger, provide affordable housing and deliver medical research and exceptional care to kids battling cancer and other life-threatening diseases. 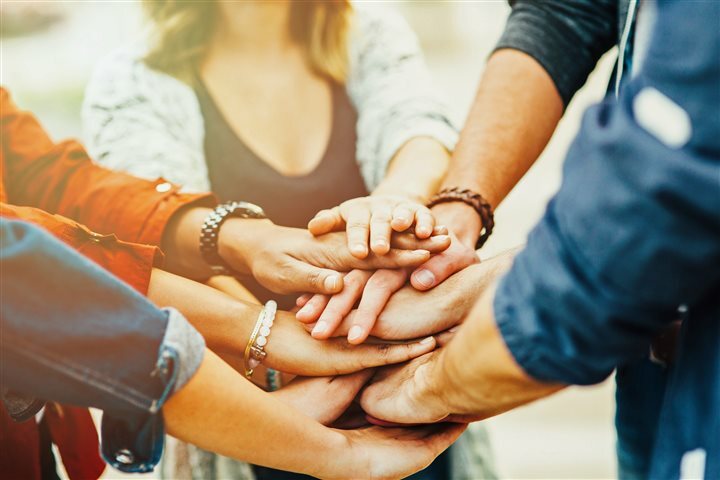 As part of its “Band Together” campaign, Jewelers Mutual is inviting consumers to select which cause receives the largest share of its unprecedented philanthropic gift. For everyone who casts votes at JewelersMutual.com/BandTogether from July 11-31, this campaign offers more than the chance to help their favorite nonprofits. Every individual who answers the call to “Band Together” online will be eligible to win a set of three stacking bands from Stacked New York. Three exquisite sets will be given away during the campaign. While, the bands are not the kind equipped with smart technology, they are a smart fashion choice and symbolize the timeless bonds that connect people to something bigger than themselves.